A number of talented MEA members have recorded Compact Discs, suitable for gift-giving at any time of year. MEA members, if you have CD's available for sale, please send us your information, so we can continue to let music lovers know! The following Compact Discs are available thru http://www.CDBaby.com, unless noted otherwise. Simply enter the artist's name and you will be directed to their listings. 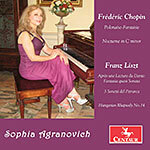 Sophia Agranovich had released her 7th CD album 'Chopin and Liszt: Piano Works' on Centaur label. It is available in CD, MP3, and Hi-Res formats at all the major distributors and has already received excellent reviews. Amazon link: http://amzn.to/2o2A4GM. Frédéric Chopin: Polonaise-Fantaisie in A flat Major, Op. 61, Nocturne in C minor, Op. 48 no. 1, Franz Liszt: Sonetti del Petrarca 47, 104, 123 (complete), Après une Lecture du Dante: Fantasia quasi Sonata, Hungarian Rhapsody #14 in F Minor. 'Schubert: Wanderer Fantasie; Chopin: 4 Ballades (2015), released by Centaur Records, features Franz Schubert: Fantasy for Piano in C major, D 760/Op. 15 "Wanderer"; Frederic Chopin: Ballade for Piano no 1 in G minor, B 66/Op. 23; Ballade for Piano no 2 in F major/a minor, B 102/Op. 38, Ballade for Piano no 3 in A flat major, B 136/Op. 47 and Ballade for Piano no 4 in F minor, B 146/Op. 52. It is available at ArkivMusic, Amazon, iTunes and other major distributors. If purchased directly from Sophia at sofilana@yahoo.com - $15. Three excellent reviews are to be published in the Fanfare Jan-Feb 2016 issue and one in March at ArtMusicLounge. Brahms & Schumann: Works for Piano (2014), released by Centaur Records, features Brahms: Variations on a Theme of Paganini, Op. 35 Book I and Book II; Schumann: Études Symphoniques, Op.13; Schumann - Liszt: Widmung (Dedication). Available thru Barnes & Noble, HBDirect, ITunes, Amazon and other sites ($18.99). If purchased directly from Sophia at sofilana@yahoo.com - $15. 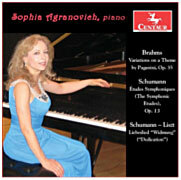 4 REVIEWS can be found at sophiagranovich.com/discography. 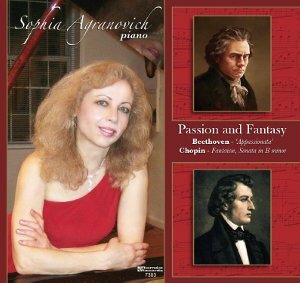 Passion and Fantasy (2014), released by Romeo Records, features the Beethoven Appassionata Sonata in F minor, Op. 57, and Chopin's Fantaisie, Op. 49 and Sonata in B minor, Op. 58. Lynn Renee Bayley, in Fanfare Magazine, compares Sophia to some of the outstanding pianists, like Lipatti, Cortot and Cliburn, and says, ..."she keeps the listener fully engaged in her music making. It is musical brinksmanship of an extraordinarily high order." Audiophile Audition web magazine also gave her high praise:http://bit.ly/1mxQjpM. Available thru ArkivMusic, Barnes & Noble, HBDirect, ITunes, Amazon and other sites ($18.99). If purchased directly from Sophia at sofilana@yahoo.com - $15. Franz Liszt - Bicentennial Tribute (2012). Features Etude de Concert Un Sospiro, Paganini-Liszt-Busoni La Campanella, Rhapsodie Espagnole and Sonata in B minor. Listen on Rhapsody, IHeart and Lastfm. Available on www.ArkivMusic.com, www.Amazon.com, AllMusic, ITunes ($14.99). This CD has received outstanding reviews: one by American Record Guide and three by Fanfare Magazine. Romantic Virtuoso Masterpieces (2009). Spectacular virtuosity of favorite pieces by Beethoven (Sonata in C Major No.21, Op. 53 'Waldstein'), Chopin (Ballade No. 1 in G minor, Fantasie-Impromptu Op. 66), Liszt (Transcendental Etude No. 10, Liebestraume No. 3), Schumann and Scriabin. Listen on Rhapsody, IHeart and Lastfm. Available on www.ArkivMusic.com, www.Amazon.com, AllMusic, ITunes ($14.99). This CD has received two excellent reviews by Fanfare Magazine. Also available thru sofilana@yahoo.com. Discount available for MEA members. 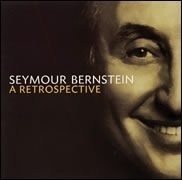 Seymour Bernstein Performs His Own Compositions A 2-CD treasure-trove: 98 tracks of Seymour Bernstein's compositions, from elementary to advanced grades. He also reads the stories associated with his animal books for children: Raccoons, Belinda the Chipmunk, and Kochel and Sheila, his two Siamese cats. Available for $17 at www.manducamusic.com. If you purchase these CD's directly from Joan, she will donate $4 per purchase to the MEA-MJN Scholarship Fund! For more information, email: JoanieBeau@earthlink.net or visit http://www.joanbujacich.com. Buy two CD's and you will receive a discount! 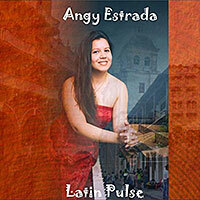 Angy Estrada, Piano, Keyboard, and Chimes; Greg DeAngelis, Trombone; Clifford Morin, Alto Saxophone; Matt Salazar, Trumpet; David Bamber, Bass (tracks 1, 4, and 9); Yunior Terry, Bass (tracks 2, 3, 6, and 8); Joshua Shaffer, Drums (tracks 1, 4, and 9); Varun Das, Drums and Percussion (tracks 2, 3, 5, 6, 7 and 8). 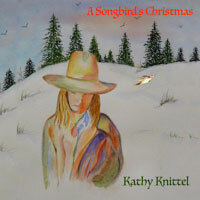 Kathy Knittel, Composition Committee Chair, has been busy getting her upcoming CD, A Songbird’s Christmas, ready for the 2017 holiday season! She has been collaborating with Joan Bujacich, who is the arranger/producer, graphic designer and is responsible for all accompanying performances on this project, except for the guitar work which is performed by Joe Bilotti. 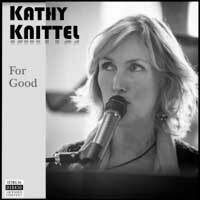 The CD will be available to purchase from: cdbaby.com/cd/kathyknittel15 and JoanBujacich.com. It will also be available to download from iTunes/Spotify and all the major online digital distribution companies. Acoustic Muses, released in December 2015, is comprised of five lyrical songs: Woodstock, Landslide, For Good, Michael From Mountains and Diamonds and Rust. Kathy sings and plays guitar on the Joan Baez tune Diamonds and Rust and is joined on vocals and piano by Joan Bujacich. Joan accompanies her on piano for the Joni Mitchell classic, Woodstock and on For Good from the hit musical Wicked. Kathy is accompanied by the fine guitar work of Joe Bilotti on Landslide and Michael from Mountains. Download individual songs from iTunes and all the major online digital distribution sites. Our President, Joan Bujacich, designed the artwork for all the releases. The Alacorde Piano Trio recently recorded their first CD together featuring Circulo by Turina, It Ain't Necessarily So, Summertime, and Bess, You Is My Woman Now by Gershwin, The Four Seasons of Buenos Aires by Piazzolla and Après un rêve by Faure. 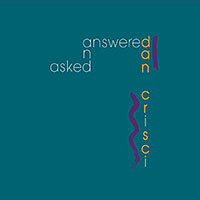 Purchase at cdbaby.com or please contact jtspiano@yahoo.com. Two piano CD's are available for $12 each to MEA members if purchased directly from SondraPiano@aol.com or 908-233-6667. 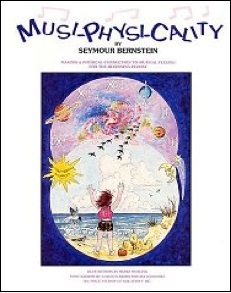 Mussorgsky * Schumann * Ben Haim (2001). Pictures at an Exhibition, Fantasiestücke, Op. 12, and Five Pieces for Piano, Op. 34. CD: $15 thru Taubman Institute. Beethoven: Sonatas No. 21 "Waldstein" and No. 30, Op. 109 * Chopin: Nocturnes, Opus 27, No. 1 & 2 and Liszt: Sonetto #104 del Petrarca and Paganini - Grand Etude No. 6 in a minor. CD: $15 thru Taubman Institute. The following CD's are available at $20 through Margaret's website: http://www.margaretwacyk.com. MEA members receive a 20% discount; if you have any difficulty, use the email address at:margaretwacyk@gmail.com. Journey of the Soul. J.S. Bach/Liszt - Organ Prelude and Fugue in A minor; Schumann - Arabesque No. 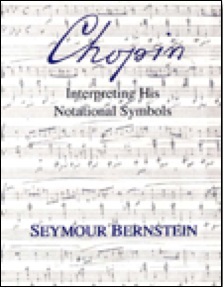 18; Beethoven - Sonata in E♭ Chopin - Polonaise in Em and Ballade in Fm. Piano Works. Clementi - Sonata in F# minor; Schumann - Fantasiestucke; Scriabin - Sonata No. 4; Chopin - Scherzo Op.31 No. 2. Portrait. Haydn - Sonata in C (No. 60); Brahms - Intermezzo (Op. 118 No. 2); Debussy - Reflets dans l'eau (Images); Lutoslawski Bucolics (1952); Liszt - Apres une Lecture de Dante. Soli Deo Gloria. 2013. Featuring the music of J.S. Bach and transcriptions of his music: Bach-Busoni - Ich ruf zu dir, Herr (Organ Chorale Prelude); Bach-Rachmaninoff - Preludio (from the E Major Sonata for Violin); Bach Invention No. 6 in E Major, BWV 777; Prelude in C Minor (from WTC Book I, BWV 847); Fugue in C Minor (from WTC Book I, BWV 847); Bach-Busoni - Toccata and Fugue in D minor ; Bach-Siloti - Adagio (piano transcription from the Sonata for Violin and Keyboard in F Minor); Bach English Suite in G minor, BWV 808 (Prelude Allemande Courante Sarabande Gavotte Gigue); Bach-Siloti - Prelude in B Minor, BWV 855a (from the Clavier Büchlein für Wilhelm Friedemann Bach). Available thru Amazon.com: $12.00. 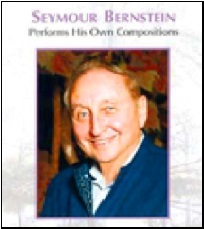 SEYMOUR BERNSTEIN has authored five books that are of interest to teachers as well as students. Classics for the Developing Pianist - Core Repertoire for Study and Performance, Books 1-5, co-authored with Phyllis Lehrer. This is the newest series, starting with early intermediate level, and offers selections from 100 classics students should be familiar with. From Mystery to Mastery, co-authored with Suzanne West Guy. A unique step-by-step approach to practicing and performing piano favorites from four stylistic periods. 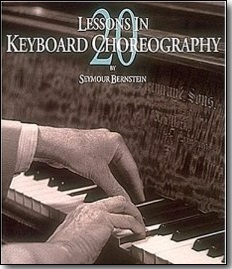 Keys to Artistic Performance, Books 1-3, co-authored with Dennis Alexander. Teaches students the skills to polish their pieces for artistic performance. Keys to Stylistic Mastery, Books1-3, co-authored with Dennis Alexander. Teaches the basic principles of the five stylistic periods and provides easy transition from method books to the classics. Dr. Salvatore Mallimo is pleased to announce the release of his new series, Elements of Piano Technique and Applied Theory. This collection covers 44 different technical elements over 12 books (1a-1c, 2a-2c, 3a-3c, and 4a-4c) and spans Late Elementary to Advanced levels. Each unit contains theoretical explanations with examples of each element (so students understand what they are practicing) and anywhere from 5 to 10 preparatory exercises (so students know how to practice). Each book also contains a practice checklist to track progress and set tempo-related goals. Technique can be highly personal, so this series intentionally leaves a lot of room for the teacher to guide the physical approach, allowing for its successful use as a supplement to any curriculum, or with any method book series. Individual copies and studio-licensed copies can be purchased as PDF downloads on Dr. Mallimo’s website, while paperback copies are available through Amazon.com. 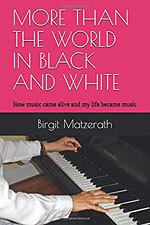 BIRGIT MATZERATH's memoir More than the World in Black and White - How music came alive and my life became music is now available on Amazon. The book traces the author's development from a child who resented her talent into a woman whose life is grounded in music. It explores how the fulfillment of talent is influenced by family dynamics and life events. First reader responses are enthusiastic. 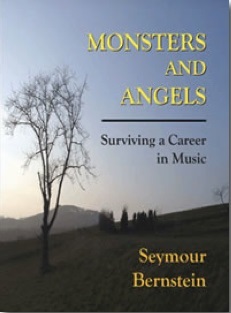 To read more about the book, go to amazon.com and check out the January 2019 posting on the author's blog: Music, Life and other Challenges. 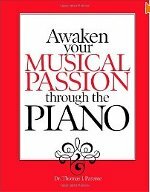 THOMAS PARENTE has authored a series of piano pedagogy books, Awaken Your Musical Passion Through the Piano. Book One and the Christmas book are aimed at beginners. In addition to arrangements, both contain standard repertoire and two original compositions by NJ composer Amanda Harberg. Theory lessons are included. These along with Book Two are available in print thru Amazon.com and also for Kindle, Nook and ipad. 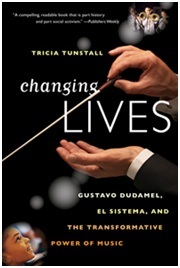 TRICIA TUNSTALL tells the story of El Sistema in Venezuela and in the U.S. in her new book Changing Lives: Gustavo Dudamel, El Sistema, and the Transformative Power of Music (January 2012, W.W. Norton & Co.). This is the first major book on El Sistema told in an inspiring, readable way with a music educator's insight. It is available in bookstores and on Amazon.com. $17.99 hardcover; $12.99 Kindle. Tricia's first book was Note by Note: A Celebration of the Piano Lesson. Of Changing Lives Sir Richard Holloway (Founder of Sistema Scotland)says, "This is a book the whole world needs to read. It is the story of a man of destiny and genius who saw in music the power to transform the lives of children everywhere. . . Read the book. Join the movement. . . Change the world." 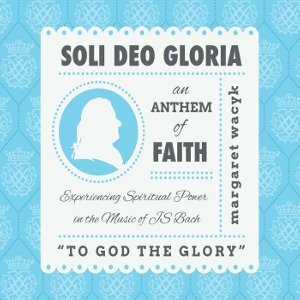 MARGARET WACYK's book, Soli Deo Gloria, the companion to the CD of the same name, is meant to unlock the deeper meaning behind the notes of Bach's music. Did you know that this great composer signed his musical compositions with three mysterious letters? SDG. Soli Deo Gloria: To God the Glory. In Bach's world these initials had great significance. They were a password. The exquisite patterns of his compositions became a key for accessing the world of the spirit. Bach's music was not merely for earthly use, it was a tool for communicating with the Divine. 2013. Amazon.com: $15.00. 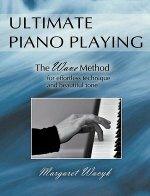 Ultimate Piano Playing, explains the "wave method", a revolutionary and targeted way to approach the piano to achieve the golden tones of the early 1900s. Please visit Margaret's website at: www.margaretwacyk.com for more information and an instructive video of this approach. Margaret is offering a 20% discount to MEA members if you email her directly at margaretwacyk@gmail.com. (The book is also available at Amazon.com and barnesandnoble.com).